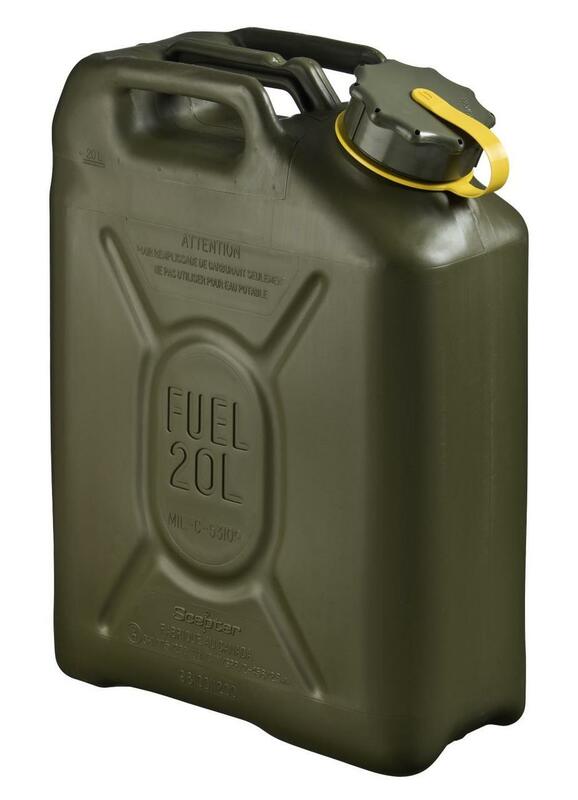 The Scepter Military Fuel Canister (MFC) was developed by Scepter to meet design and performance requirements set by the U.S. Army and Canadian Forces for leak-proof, rugged, safe, dependable and cost-effective plastic jerry canisters. Scepter has produced and delivered over one million MFCs. * Steel cans are heavy. If the can falls, is thrown, or is struck its structural integrity will be compromised. Plastic cans will not. * Overtime, steel cans will rust. * An older steel canister can split along the welds. Plastic cans do not have any welds as they are moulded in one continuous moulding process. * In warm climates pressure builds in all fuel cans. A plastic can will swell, indicating that pressure has built. Such swelling is noticeable and can be released by opening the cap. A steel can will not swell if pressure is building. Mitigation is difficult if unknown. If struck by a tracer bullet, IED fragment, or similar there will be a spark, flames, and explosion. Scepter’s plastic can will burn by adding fuel/energy to the fire, but it will not result in a catastrophic explosion. If the steel fuel can explodes, as a result there will be a significant dispersal of shrapnel. Plastic will not provide shrapnel or such catastrophic outcomes. 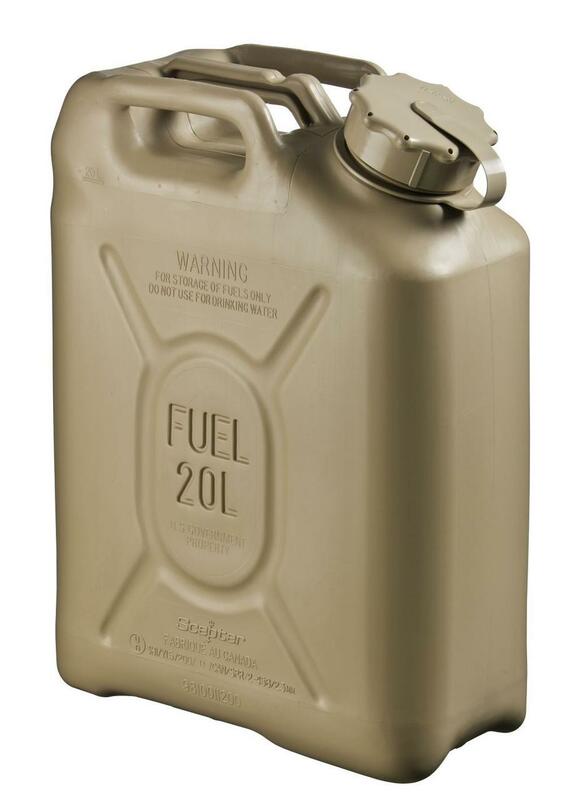 * Scepter’s MFCs can be equipped with a coloured strap, which indicates the contents of the can – diesel, gasoline, kerosene, waste, or two-stroke fuel (gas/oil mix). This avoids mixing of fuels mistakenly. - Accepts pour spouts (see MFC Accessories).